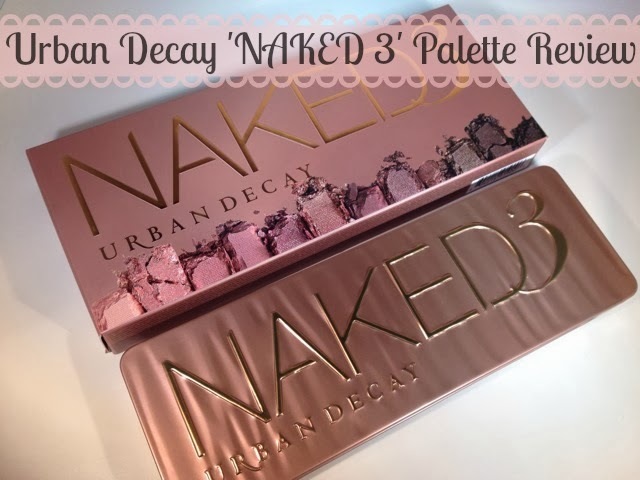 Today I'm back with a review for you all, but not just any review, oh no no no, but a review of the new, beautiful Urban Decay 'NAKED 3' Palette!!! 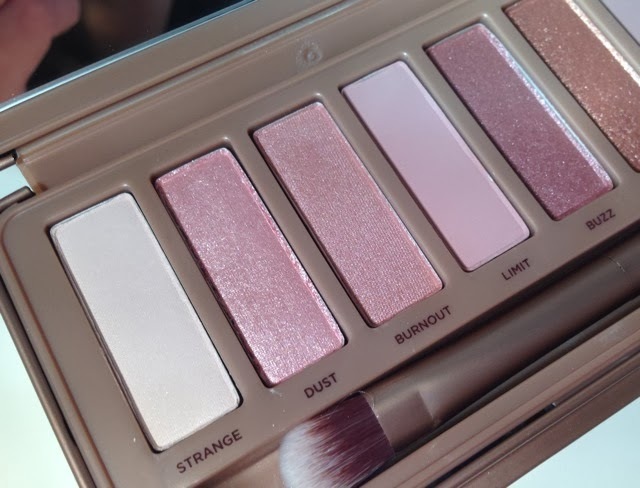 So in December Urban Decay sent us beauty bloggers into abit of a spin when we found out they where launching a new palette in their 'NAKED' range, when I saw the very first pictures of the palette I instantly feel in love and knew that the palette just had to be mine. I had mentioned to my boyfriend that I really wanted the palette but I honestly didn't think that I would get it as it seemed to sell out really quickly, but there I was on Christmas morning opened my very last present from my man and to my amazement it was the NAKED 3 palette, eeekkkk I squealed so much ha ha, I cant tell you how excited I was. Firstly the 12 totally new rose-hued neutral eye shadows come in a gorgeous rose gold metal case with a good size mirror inside the lid, I prefer this packaging so much more to the cardboard packaging my original 'NAKED' palette has as the newer packaging shuts completely secure and looks like it will be so much easier to wipe clean. As I said the palette contains 12 eye shadows, 3 of which are matte and the rest of the palette is made up of shimmers and metallic's, the packaging also holds a lovely double ended crease/shadow brush and Urban Decay have also thrown in 4 samples of their best selling primers, with each primer pod estimated to last you a week, what a brucie bonus!!! Strange - "a very pale neutral pink matte eyeshadow, great for highlighting the brow bone“. Dust - “a very shimmery pale pink with iridescent micro-glitter, be warned the glitter particles fall out everywhere“. Burnout - “a light peachy shade “. Limit - “a light dusty rose matte eyeshadow that would be great used as a base“. Buzz - “a metallic rose shimmer with silver micro-glitter“. Trick - “a metallic copper shimmer with micro-sparkles running through it, again another shade where the glitter particles fall out quite bad“. Nooner - "a matte pinky mauve shade, again great used as a base or blend out shade“. Liar - “a metallic mauve shimmer“. Factory - “a brown satin shade with pinky undertones“. Mugshot - “a metallic shimmery taupe shade“. Darkside - “a deep mauve-greyish shade“. Blackheart - “a smoky black matte with rosy red micro-sparkle“. As you can see this is very much a pinky toned palette with a variety of shades that can take you from day to night, I love the fact NAKED 3 contains 'all new' shades too, as theres no worry of doubling up on eye shadows you might already have from previous NAKED palettes. All the shades in the palette are lovely and soft with an easy to blend formula and have great pigmentation, even the matte shades, and if you really want that wow factor from the metallic shades then using your brush damp can make all the difference, this is something I personally love to do for a night out make-up look. Also I just have to touch upon the shade names, I mean how great/quirky is 'Nooner' and 'Mugshot' he he. Overall Urban Decay have triumphed again, the NAKED 3 palette is everything I thought it would be and more. The palette is priced at £37.00 making each eye shadow £3.08 which I think is an absolute bargain for the high end quality, also the fact you get the extras like the brush and the primers I think its very much a great value for money palette. 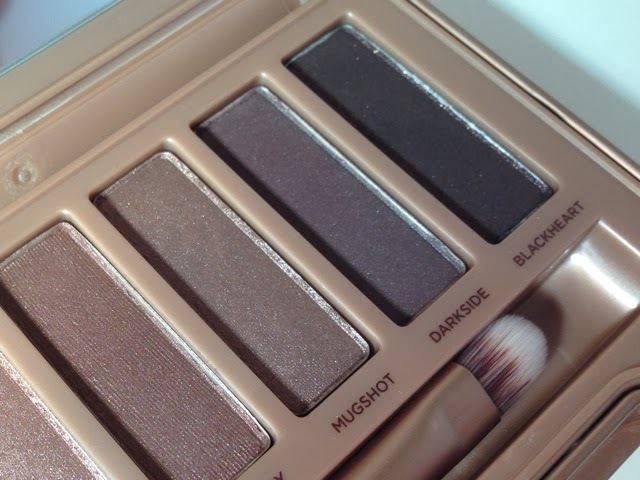 What are your thoughts on the NAKED 3 palette beaut's??? I'd love to know. I love this palette, it's my favourite of the lot. £3.08 per shadow is a great way of looking at it! Cannot wait to buy this on payday! Isn't it gorgeous! Glad you like it! great post! This is such a beautiful and unique palette! 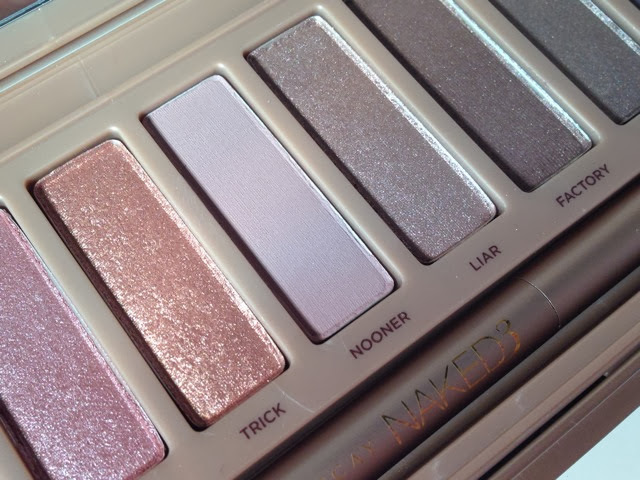 This was my first UD Naked palette and now, I'm ordering the Naked 2 because I'm so hooked! It's so beautiful, I'm in love with it and don't even own it! Such lovely colours, great post and images! I love this palette! I recently got the Naked 2 and as much as I love it I wish I waited to get this one. After reading this I may have to make a sneaky purchase of it when it's back in stock.